This is the west side of the Masjid. 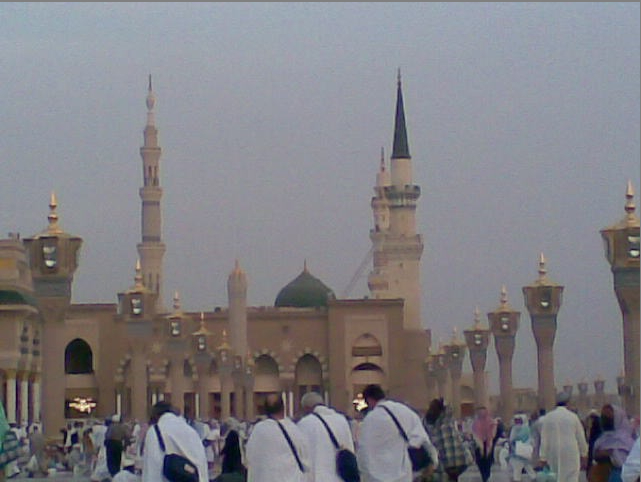 Under the green dome is the grave of the Prophet صلى اللّه عليه وسلم and Umar and Abu Bakr رضي اللّه عنهما. Subhanallah..what a beautiful view there..